Unless you’ve been living under a rock, you know that content marketing is now a predominant force in the world of business. Why? Because it is the only marketing method which is completely focused on satisfying the often complex and fast-changing needs of modern consumers. It is marketing that doesn’t feel like marketing and as such pulls people in and engages them in a relationship with a brand. It is strategic, impactful, non-intrusive, and it provides sustainable value to customers. However, you won’t get far without having a content marketing plan in place. And most of us struggle with documenting a plan, and even more so with executing it. The execution part is difficult because managing the content marketing process can be extremely time-consuming. When it comes to creating remarkable content, a lot of time goes into planning and research e.g. finding relevant long tail keywords, choosing the right topics, etc. ….And the work doesn’t stop when the content is finished – it actually just begins. Every content marketer who is effective at their job knows that a piece of content cannot be successful by itself unless we put in some work. It is like that good old question – “if a tree falls in a forest and no one is around to hear it, does it make a sound?” If you create great content and nobody reads it, is it still great content? This is where activities such as content distribution and content promotion make all the difference, and both involve a lot of manual tasks. If we want to consistently publish well-performing content without spending all our time managing the process, we need something that will make our lives easier. 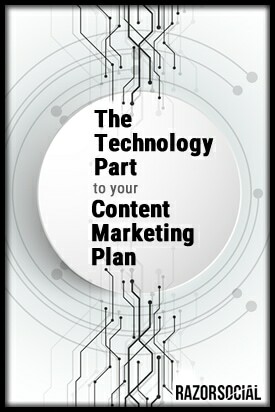 We need content marketing tools, and here I’ll suggest a few. Feedly. Feedly is probably the most popular tool for aggregating RSS feeds. You can add blogs and websites that are most relevant to your industry/business and create a feed of content to help you get inspired and find great ideas for your own content. Feedly also allows you to organize your feeds into categories, e.g. social media blogs, marketing technology blogs, etc. Quora. As a question and answer social platform, Quora is a really good resource for finding trending topics. You can look for the most frequently asked questions regarding your niche or product type, and use that knowledge to inform your content planning. Reddit. This is one of the best platforms for finding trending topics from all over the Web, and it can serve as a great source of inspiration for content topics, as well as types and formats of content you could be producing. BuzzSumo. BuzzSumo allows you to analyze what content performs best for any topic or competitor. It is a great tool to help you identify relevant influencers for your outreach campaigns, and it is also perfect for content curation. Scoop.it. This content curation tool lets you create boards around topics that interest you and then populate them with related content. You can also follow other people’s boards to find content ideas. KWfinder. KWFinder is a keyword research tool that you can use to identify the best long tail keywords to target for your content. It’s a great alternative to Google Keyword Planner as it provides exact monthly search volumes along with many other useful metrics, such as search volume, CPC and difficulty level. SEMRush – SEMrush is another very useful keyword research tool. You can enter in your competitor’s website address and find out all the top keywords that they are ranking for on Google. Edit Flow. Edit Flow is a free WordPress plugin that enables you to effectively manage content in WP and it’s particularly useful if you have a larger editorial team and need to collaborate with them on content creation. CoSchedule.com. If you need a tool that offers a comprehensive set of features to organize your entire content marketing plan form a single place, you should definitely check out CoSchedule. You can use it to create an editorial calendar for your WordPress blog, manage a team of writers, and collaborate on content. Kapost. Kapost is a content marketing platform that helps you manage the entire editorial and content creation process. Its robust capabilities, such as content analytics and social media publishing, make it more than just a content calendar tool. However, it is quite expensive and thus suitable for larger companies and brands that regularly produce a lot of content. Hemingway. Hemingway is a proofreading tool that clears your copy of all unnecessary fluff and brings clarity to your writing. The tool analyzes your text and highlights complex sentences, excessive adverbs, use of passive voice, and common stylistic and grammar mistakes. Evernote. This tool is very popular among content writers who use it to organize their research and writing notes. The tool is available on almost every platform, so you can collect and organize your notes across all your devices. Ulysses. If you are a fan of minimalism, a plain-text writing and editing platform like Ulysses could be the perfect tool for you. It removes all unnecessary clutter from the screen so you can focus on your writing without being distracted. Great for increasing productivity! Google Docs. Google’s online word processor is a free tool that you can use to write content, track changes, and collaborate with other writers and editors. Visual.ly. If creating infographics that attract massive attention is a part of your content marketing plan, Visual.ly is a platform for you. They have a huge marketplace of designers and an impressive portfolio of projects that you can explore for inspiration for your content. Pixlr. Pixlr is a free online image editor that comes with a set of design and paint tools to help you create custom content and optimize it for various devices. Canva. Canva is a great tool that you can use to quickly create compelling visuals for your website, blog posts and social media. Creating images with Canva is super easy even if you are a non-designer. The tool offers a variety of pre-made templates, custom image sizes for every social media platform, and much more. Meme Generator. If you’re looking to add some humor to your content mix, try using memes! Memes are a great way to entertain and engage your audience on social media, and you can create them easily with one of the many available meme generators. GoAnimate. If you don’t have the budget to hire a creative agency to create animated videos for you, use GoAnimate! The online platform allows you to build your video scene by scene by adding characters, scenes, and props with an easy-to-use drag and drop editor. Agorapulse. This social media management and content distribution tool allows you to plan, schedule and publish all your content across all major social media channels. It streamlines the process of distributing content to social media by connecting all your social profiles into one platform. It also offers post analytics, so you can easily determine the best time to post to get the most engagement from your audience. MailChimp. Email is a very effective channel for content promotion and one that you should definitely use. When it comes to email marketing platforms, MailChimp is probably the easiest and most user-friendly tool that you can use promote your content to your email list. OutreachPlus. Reaching out to relevant people to promote your content before and after you publish is crucial to content marketing success. Use OutreachPlus to send personalized outreach emails to people who can amplify the reach of your content e.g. influencers, journalists, bloggers. You’ll be able to set up follow-up sequences triggered by your prospects’ actions and personalize all emails with standard and custom merge fields. The tool also includes advanced email tracking and lets you track the ‘prospect temperature’ so you can have a clear understanding of how successful your emails are with individual prospects across campaigns. Outbrain. This content discovery platform recommends your content to readers of other publishers in over 55 countries around the world and it’s great for content amplification. Outbrain operates on a cost per click model, so you pay for views on each piece of content you promote, whether it is a video, article, or an infographic. Taboola. This tool offers a cost effective way to feature your content on some high profile websites, such as MSN, AOL, NBC, Business Insider, and many others. It targets your content towards your target audience. Triber. This is a great tool to help you find and connect with influencers who can help promote your content and extend its reach through their networks. You can use Tribber for free, but you’ll have to pay to the Influencers you worked with. Curata CCS. This content curation software allows you to easily discover, organize and share relevant content for your business. Scoop.it is a content curation platform that allows you to easily find and share unique, relevant content to your social networks, website, or blog. The tool lets you find content based on specific keywords. You can then curate the content, include your commentary and publish to your own topic page. The content marketing tools that I suggested in this article are just a few out of hundreds available. We can expect to see this area of marketing technology flourish in the future, as content marketing becomes more and more important to businesses in every industry. With a well-documented plan in place and the right tools to support it, you can build a content marketing machine that will help grow your business online. Did I miss to mention your favorite content marketing tool? Share it in the comments section!